In The Nature of Spring renowned writer Jim Crumley embarks on a seasonal journey of discovery to the Scottish Highlands and islands. 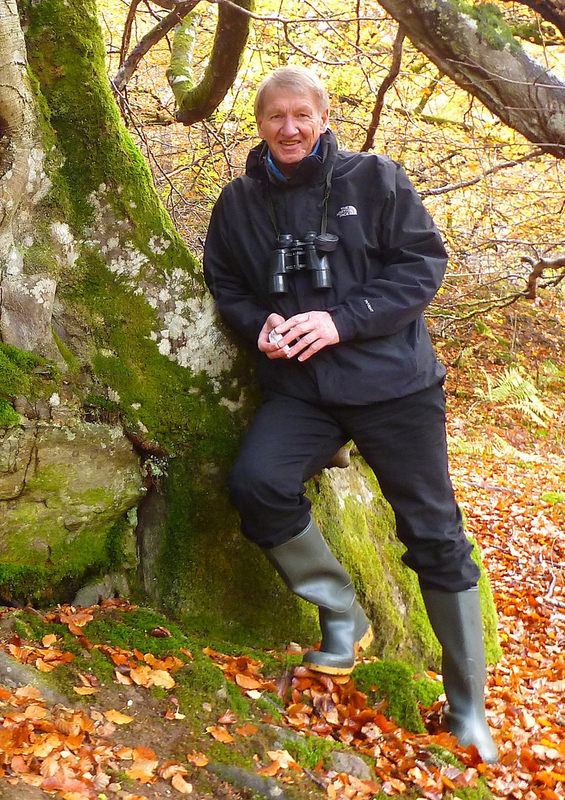 Bringing local insight and expert knowledge to his subject, Crumley considers the lives of the animals he has spent the past three decades observing – the badgers, seals and foxes, the seabirds and the raptors of the Scotland’s most famed rural landscape. We are delighted to share an extract from the new book, in which the author encounters the singular beauty of Iona Blue. What is it about ferries that make philosophers of folk? Or perhaps she had just been reading Seton Gordon. I wrapped my hands around the cup and was briefly startled by the heat. It really was a paper cup. But what the Met Office like to call “the wind chill factor” (a pompous-sounding cliché instead of saying “it’s going to be a damned sight colder than it looks”) reduced the tea to tepid over a hundred yards, by which time it had stopped warming me, inside or out. I sipped as I walked, tea-drinking pilgrim. Standing at the rail of the upper deck, I sipped the cool dregs and remembered. It had been ten years. I was staying up in the north of Mull for a few days. Ben More the day before had been in truculent mood. Gales and stinging, sleety snow had forced a retreat from near the summit. There was no view, and the view is the whole point of that particular mountain, and don’t let any Munro-bagging fetishist tell you otherwise. There is nothing in all Scotland, all Britain, to compare with the view from Mull’s Ben More. And it was May. I was alone, I decided to regroup the forces of endeavour behind a rock. Coffee. A dram (a small one, a taste, purely psychological), distilled just up the road. It is one of the miraculous properties of single malt whisky that it ensnares the essence of the landscape that gave it birth, and right then, right there, that whisky tasted like stinging, sleety snow had been distilled and bottled. A window in the storm, a seductive blink of sun, I hung in there for a little longer. The window slammed shut. The sleety snow thickened and stung. Down then, cold and defeated. But in the evening, May in the woods at Salen was blissful, warm, saturated in birdsong. I decided Iona next day would be my respite. Go as a pilgrim, supplicating my God whose name I spell Nature. I have written before that I discarded churches years ago, found what I needed in Nature. But Iona Abbey was extraordinary, and if the appropriate word for the defining characteristic of the place is not “spirituality”, then I don’t know what else it could be. Columba? Hardly. He had been dead six or seven hundred years when this abbey was built, and it has grown derelict and been restored since then. His had been a timber thing, modest as the coracle that ferried him from Ireland under the horizon. Yet perhaps it is his gift that endures, his granitic faith in peace. Wherever else in the world that most flawed of ideals has faltered, on Iona it never has in a thousand years. It never has because of all who came after. Pilgrims. Sipping sanctity and cooling tea. From the ferry railing with an empty paper cup in my hand, then, I remembered crossing the waist of the island to white sands, white as the summit snows of yesterday’s mountain. And I remembered The Blue. Our planet plays host to innumerable shades of blue, and I consider myself fortunate to have seen my share of them. But when I saw the Iona Blue that first time, I was numbed by colour. It was the particular blue that begins at your feet where the sea lies in a pool as still as ice over white sand. From there it flows seamlessly through deepening shades and deepening layers of ocean. It is blue beyond colour, blue as spiritual experience. Now, ten years later, standing at the rail of the ferry, going back to Iona on a day somewhere between the last of winter and the first of one more spring, and with a now crumpled paper cup in my hand, it was the blue I remembered; and there was Rum, far past Mull and far past Coll, Rum off the starboard bow. I had forgotten about Rum. And how small Staffa is. This time I walked past the abbey. I thought I might save it for last. I wanted to climb Dun I, the lowly summit of the lowly island whose old Gaelic name is just that single letter, I. It means island. I wanted to see white sands and to drink my fill of Iona Blue. And suddenly I realised that it was one year since my mother had died. She was a religious woman, she called her faith her “rock”, and at least I could understand that analogy, and there is no worthier place to pay tribute to rock than Iona. It’s Scotland’s first rock. It is older than most other fragments of the planet that most of us will ever step on. It was nature’s foundation stone. Having laid it, she stood on it and began to lay down the rest, and to throw up other volcanoes to play with for another billion years. So my tea-sipping pilgrimage suddenly found an edge of purpose. Mum liked Iona. She came here once on a bus tour. You could not pay me enough money to go on a bus tour, but after Dad died, Mum had eighteen more years and with those she travelled, as far as Florence twice, and sometimes she just took the bus to the Hebrides. Now, for no reason I could name, I associated the occasion and the islandscape with the date. I am no keeper of anniversaries, especially the anniversaries of deaths. I remember lives best, and I need no dates to celebrate and be grateful for the lives of both my parents. But suddenly I thought that perhaps a quiet moment in the abbey at the end of the day might be appropriate. But Columba had something else in mind. I climbed Dun I, bullied uphill by a westerly that would have shivered Seton Gordon’s spine. I crossed the summit and sat in the lee of a west-facing rock. I could see white sand. I could see Iona Blue. I could see down the broad spine of the island. I could see up the island to Rum. And beyond that, identifiable by its ragged glimmer of snow, the Skye Cuillin. I waved, because that is how I greet friends-in-landscape. I descended to the shore where the wind filled my eyes and my hair with white sand and the Iona Blue was a song beyond music. I turned. I climbed back over Dun I. By then the summit was a wall of wind that took my breath away and rammed gallons of its own icy breath down my throat. I sat again. I sat this time because standing was too difficult. And sitting in that rage of winds, sand-smitten and colour-drenched, I found the utter calm which permitted the remembrance. Nature soothes the soul. A friend wrote that to me once. I walked back to the ferry without entering the abbey. I wondered how many other pilgrims had ever done that. If any. My pilgrimage was honoured without it. Columba, presiding spirit of pilgrims, keeper of souls, or whatever, conjured the most vivid remembrance at Iona’s disposal, not within the confines of a building but in the un-confines of nature. The abbey may be the focal point of what Columba’s legacy has become. But it is I, the Island, which is the cathedral of this pilgrim. 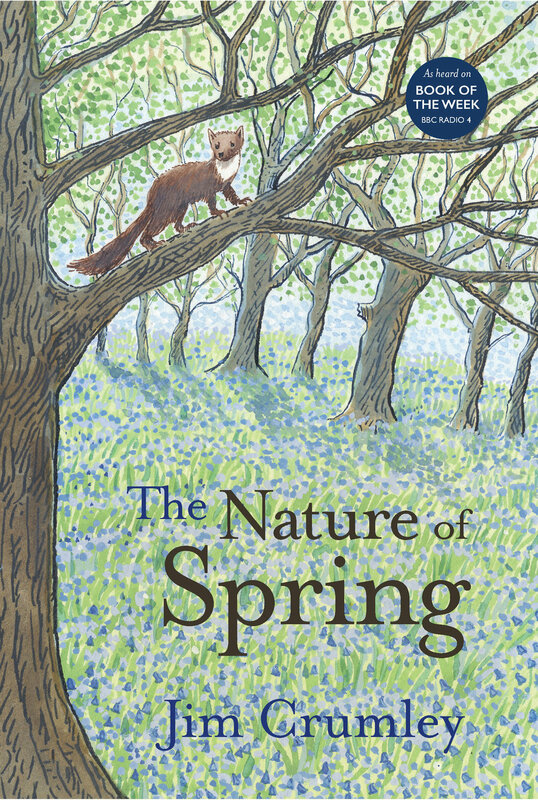 The Nature of Spring is a BBC Radio 4 book of the week. Find out more.